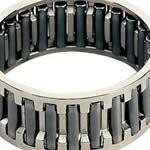 We are leading manufacturer in India for needle roller bearing. 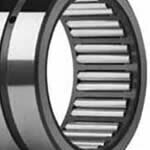 the quality policy and our expertize in manufacturing of Needle roller bearing has enabled use to attain a satisfied list of clients globally who are using needle roller bearings manufactured by us. we strive for achieving and delivering the best quality needle roller bearing by contantly upgrading of techical skills and infrastructure . Needle roller bearing mainly consist of small cylindrical rollers with other components to form a complete needle roller bearing. Needle roller bearing are mainly used in for application where the main aim is reduce friction of the rotating surfaces under operating condition of the machineries.Needle roller bearings have a large surface area in contact with the bearing outer surfaces with less added clearance which makes it a compact bearing.The component of needle roller bearing consists of a needle cage which orients and contains the needle rollers, the needle rollers themselves, and an outer race. We manufacture heavy duty needle roller bearings that are supplied as both sealed and unsealed configurations.The sealed needle roller bearing comes in various configurations.The sealed needle roller bearing can be double or single seal with the seal lip turned outward or inward. The seal can be mounted in the radius end of the ring or the chamfered end of the ring for optimum mounting variations. Our heavy duty needle roller bearings provide maximum load capacity and shock resistance with a relatively small radial cross section. We are supplier of needle roller bearing to global market for automotive, consumer product, construction and agriculture, and general industrial goods.